I have to admit it, I struggled a bit to think of the right words to write here. After a fantastic adventure with Human Made that kicked off on July 2013 with Happytables, and took me all the way to working on the various solutions we’ve been building for clients, today is my last day at Human Made. This last lustrum meant a lot to me, and I’ll be forever grateful for the opportunity to work with some of the smartest and brightest people I’ve ever met. 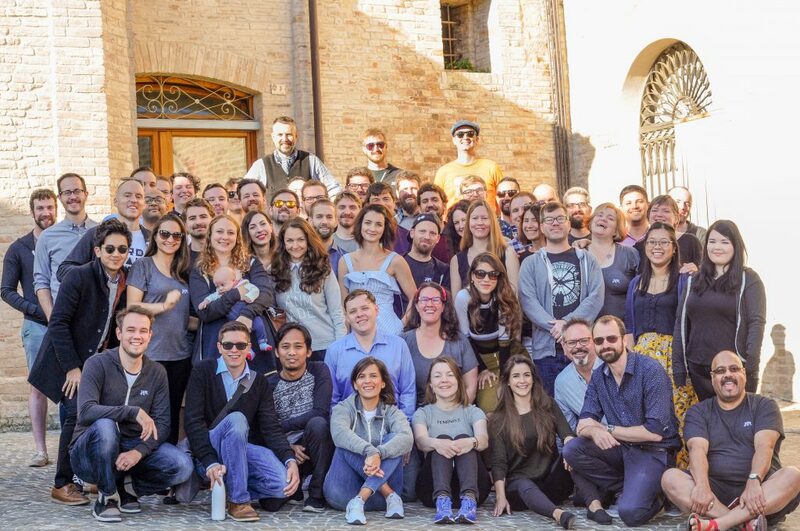 Whilst I passionately love the whole concept of remote work, I wish I had spent more time together in the same place with them—maybe that’s what made the six retreats, one team meetup, and several trips and co-working sessions I had with many of them so special. The Human Made team, Petritoli (Italy), 2017. I’ve made some wonderful friends at Human Made, and many memories that I will cherish forever. The laughs, the hugs, the deepest and most interesting conversations, until the replies that I received when I announced my farewell internally—it was amazing to see how many things they remember about me, the time we met each other for the first time, or the time we did whatever it is that we did together. Goodbyes aren’t easy, but they’re necessary when you want to fully open yourself to new hellos, so there’s that. In case you were wondering—there is no announcement here. For the time being, there is no gig lined up. Product as a discipline is my bread and butter, so that’s where I’m planning to stay. I’ll obviously keep a particularly focused eye on the intersection between product management and WordPress. Now’s the time to get in touch with me. If you want to pick my brain about your product, your ideas, your processes, remote work, your next talk or anything else before I land my next gig, or if you’re interested to be my next gig, drop me a line at hello@ this domain and let’s talk! Break a leg my friend!